CORE Skills is pleased to present this event as part of Data Science Week exploring the opportunities data science will bring to industry. In his brief talk, Rob will link the current digital transformation to opportunities relevant to WA. A key question remains: can we build our capacity and willingness to adopt and adapt to the new technologies? Darren Mottolini: Mapping the digital path: do we need more than big and open data systems? The hype of big data, smart analytics, automation and Industry 4.0 all promise a new horizon for innovation yet the realisation of this promise is yet to be realised. Darren’s talk looks at the status of sharing data and what is required to ensure that big and open data truly becomes linked data, not simply linkable data by exploring the role of location, understanding and context. 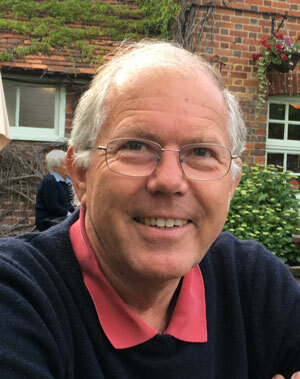 Rob Freeth has nearly 50 years’ experience in computing and information systems, with particular expertise in the application of information systems to non-commercial aspects of business: engineering, and land and geographic (spatial) information. He is particularly focussed on the business aspects that drive and define information systems in these areas, supported by a broad understanding of the current technology and future trends. Much of this work has focused on systems for the management and integration of geographic information. Rob spent ten years as an Information Manager for WMC Resources. He helped establish enterprise geographic systems for the Perth Airport and the Port Headland Port Authority (now Pilbara Ports). Rob was Chair of the Western Australian Land Information System (WALIS) Advisory Council for six years. Rob is a co-founder of the WA Mega Data Cluster, which aims to build WA's capability in Data Science and STEM and has over 600 members. He is currently a member of the Research Investment Committee for CRCSI (CRC for Spatial Information); a member of the Health Program Board of the CRCSI; and a member of the Advisory Committee for Minerals Research Institute of WA (MRIWA). Rob is a Fellow of the Australian Computer Society, recognising his contribution in the field of spatial information. Darren Mottolini is the Research Manager for the Cooperative Research Centre for Spatial Information (CRCSI) responsible for the coordination and application of research projects relating to data modelling and automation of complex processes spanning, Local, State and Federal Governments of Australia, Universities and within the private sector. He holds degrees in Information Systems and Business Administration and continually investigates and explores how common challenges can be solved though problem based design, leveraging spatial systems to innovate in new directions. Tickets are $25 or $15 for CORE Members.